One of my stock rants or hobby-horses is the UK’s wine trade’s absurd practice of calling sweet wines – dessert wines. Not only does this quite unnecessarily restrict the occasions that people consider opening a bottle of sweet wine but also they often don’t match desserts well – often they can be a disaster. A sweet dessert accentuates the wine’s acidity and sharply reduces a wine’s sweetness. 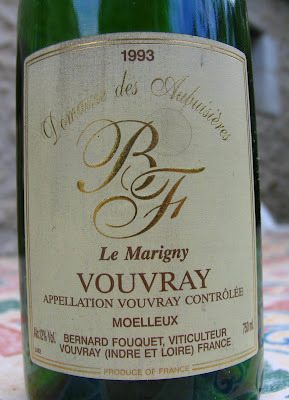 Take this fine 1993 Vouvray moelleux from Bernard Fouquet, which we drunk this August with some cheese. 1993 is an unheralded vintage but Bernard’s moelleux is now showing very well – honeyed and delicately sweet it is ideal with cheese especially various blues – that classic combination of sweet and salty. 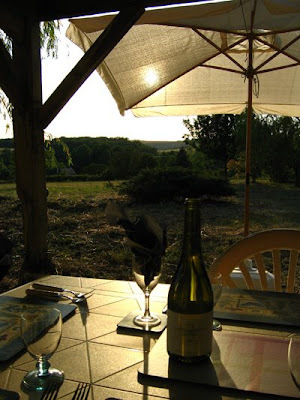 It would probably also worked well with pork noisettes with prunes and a cream sauce – a typical Touraine dish. Equally well I suspect with a rich poulet à la crème and probably magret de canard with a sweet sauce, whose sweetness often clashes with a red. I did once serve a straight 1994 Coteaux du Layon from Patrick Baudouin with pheasant à la Normande. It was a delicious combination with the cream apple and Calvados. Bernard's 1993 would not have worked with a dessert – so why continue to use the term dessert wine? Do we have sausage wines? 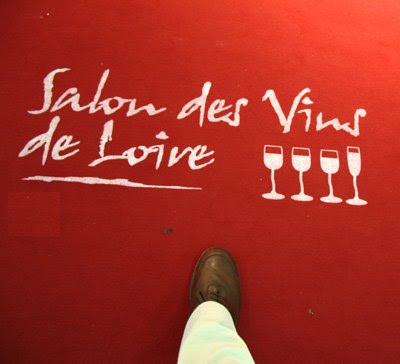 The start of the 2009 edition of the annual Salon des Vins de Loire is now only just over two months away. 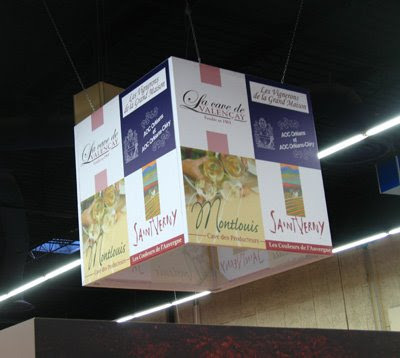 Held at the Parc des Expositions (Exhibition Centre) Angers this is France’s only annual regional Salon and is a unique opportunity to talk to producers from right the way along the Loire – from the Côtes de Forez to the Pays Nantais. Open only to professionals, the Salon is both very well run and friendly. Unmissable! 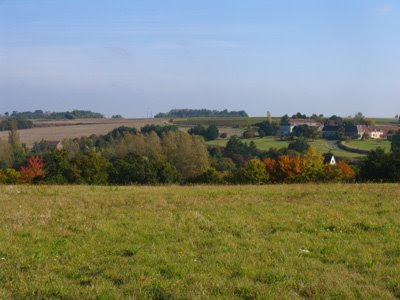 Jim’s Loire will shortly be offering odds from Mystic Marguerite, who lives in the heart of the Forêt de Loches, on how many British wine journalists and writers manage to make it to the Salon for the 2009th edition. Last year it was four. "What do you mean my wines are like sorbets? It's the fault of the fridge ......."
have been lowered close to freezing point by his over-enthusiastic fridge. 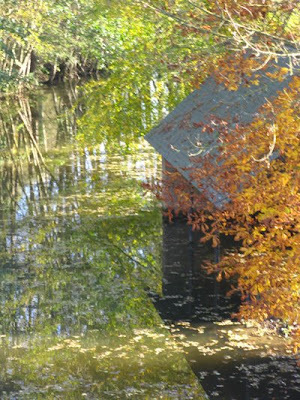 Huts in the fields: a disappearing sight in Touraine. 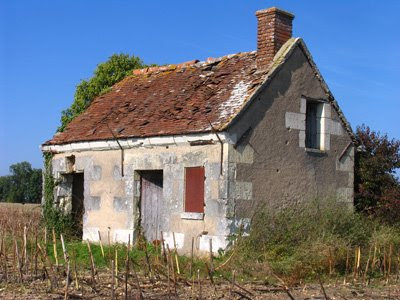 Although this is larger than many of the little cabines are found in the fields and vineyards of Touraine, this along with many others are abandoned and falling its ruin. Originally designed to provide shelter for workers during the day and somewhere to leave their tools, mechanisation has made them redundant. There is a new book on these les loges des vignes, which was published in October 2008 and is called Loges de vigne, de Michel Sigrist. 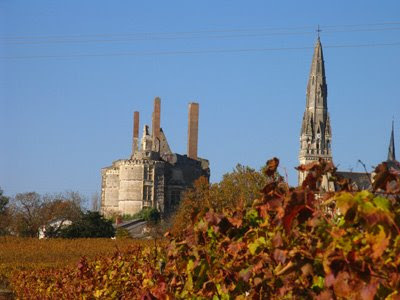 The first historical reference to the celebration of primeur wines in Touraine was in the 4th century. The methods of making a primeur from Gamay grapes developed in the 19th century and Touraine Primeur got its AOC status in 1979. This year there were festivities in Tours (20th November) Amboise (21st) and Montrichard (22nd). 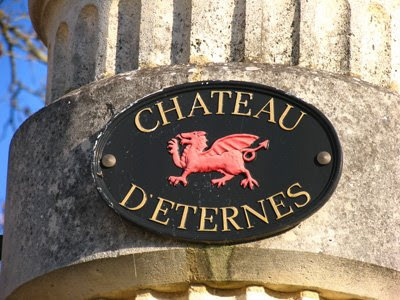 Until 2005 the Tours Primeur Fête was on a much grander scale with many vignerons offering primeur for sale by the glass, unfortunately due to a number of alcohol related incidents this was stopped and from 2006 wines can only be sold by the (closed) bottle during shop hours. As a result the festivities have been massively scaled back. 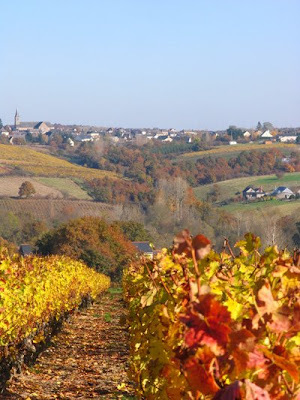 In 2008 with the later harvest and reduced yield there seemed to be less primeur wines available. 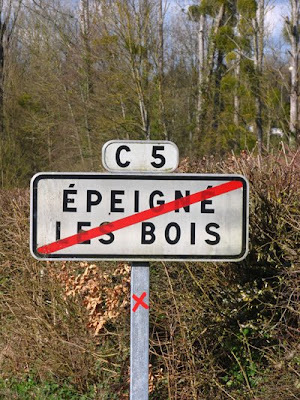 Each year in Epeigné-les-Bois a primeur tasting takes place chez Mme et M. Hisbergue, which assembles a group of keen local experts including the commune’s ex-Mayor Jackie Marchau. 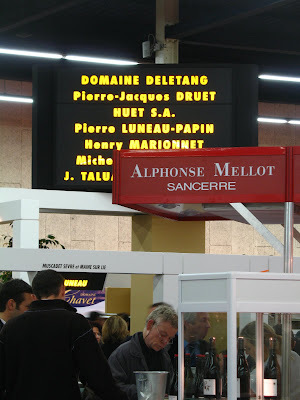 This year eight primeur wines were tasted blind and the panel of 11 judges awarded marks from 1 ("Bof") to 5 ("Extra"). Amongst the wines there were 3 or 4 good examples of a quaffable silky Gamay with a pronounced nose of red fruits and not too much of the dreaded banana. 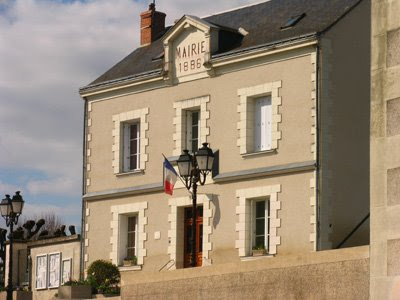 The winning two wines in the Epeigné judging were in first place Vincent Guichard of Amboise and in second the Lycee Viticole, also of Amboise. Interestingly the decision was a reverse of the result at the official Concours where these two wines were awarded silver and gold respectively. There were several appalling wines including number 5 (name withheld) which looked and tasted like weak Ribena. Following the tasting the weary judges enjoyed a feast of homemade rillettes and paté followed by lapin au riesling. The remains of the good wines were quaffed but number 5 stood untouched for the rest of the evening. Closerie de Chanteloup, Vincent Guichard, Chanteloup, Amboise. 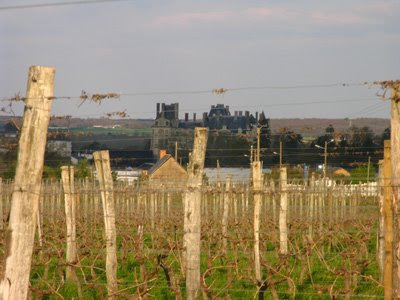 La Closerie de Chanteloup is a nine hectare vineyard. Amazing that 500,000 bottles are sold in three weeks. VDP Jardin de la France? The old Vin de pays Jardin de la France has been replaced with VDP du Val de Loire. The minister concerned signed the necessary paperwork in May 2007. Apparently even the French didn’t know where the Jardin de la France was. 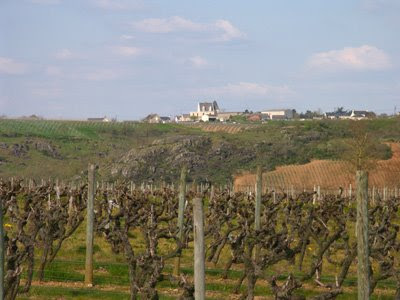 This VDP region category covers most of the Loire Valley. 1996: the best vintage of the 1990s? 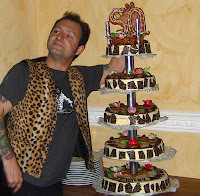 I was reminded today by a tasting note on the wine forum of Tom Cannavan's wine-pages that I have been meaning to post something on the 1996 vintage. Tim York noted that the 'Chinon 1996 from L’Echansonne Sélection Noël Pinguet - Olga Raffault was a nice youthful seeming, savoury and robust Chinon full of red fruit, especially plums and damsons, abundant acidity offset by good body and an appealing wet leather tang'. For some time I have thought that 1996 is the best vintage the 90s decade, especially for reds, notwithstanding the fine and very appealing 1990s. 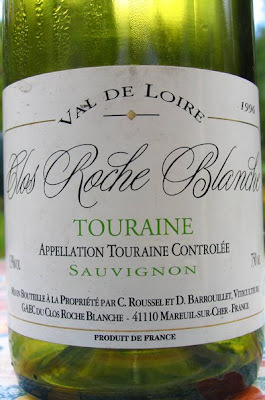 1996 is a classic good Loire vintage. It has a lovely balance of fruit, structure and acidity and has aged well as Tim's comment 'nice youthful seeming' bears out. 1996 and 1997 were both good years and naturally frequently compared. 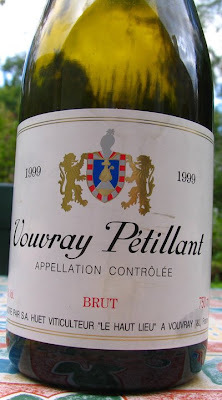 1997 has always been ripe and opulent – a crowd pleaser. While the best have lasted better than they thought they might, they don't have the same level of balance and complexity found in 1996 reds. 1995 was potentially a good year for reds too but while I've had a few good 1995s the high level of acidity has meant that they have taken a long time to come round and it seems likely that marked acidity will continue to be a feature of the 1995s. As well as the Clos Rougeard above other 1996 reds I have recently drunk and enjoyed include Les Châtains from Domaine de Nerleux, Grand Clos from Château de Villeneuve and the Anjou Villages from Domaine de Bablut. The 1996 Gamay from Clos Roche Blanche was showing well about two/three years ago – will have to check on its progress. 1996 is also a fine year for dry whites and demi-secs along with good sweet wines. With the sweets 1995, 1996 and 1997 make a fascinating trio with perhaps the 1997s being superior. A quick phone call this afternoon to Noël Pinguet to catch up on how the vintage has been for him in both Vouvray and Tokaji*. 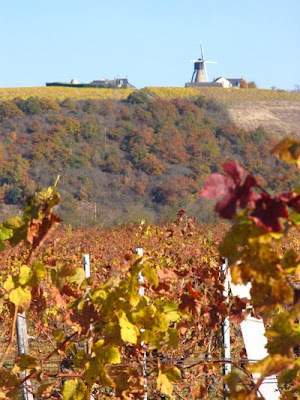 Recently Noël was in Hungary for the end of the harvest in Tokaji and there things were more positive. 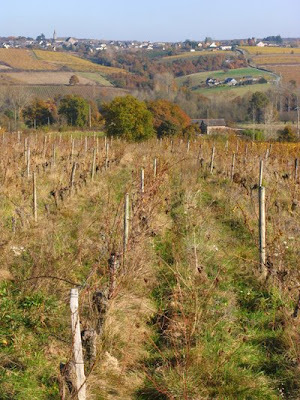 Noël also revealed their biodynamic plans in Tokaji. 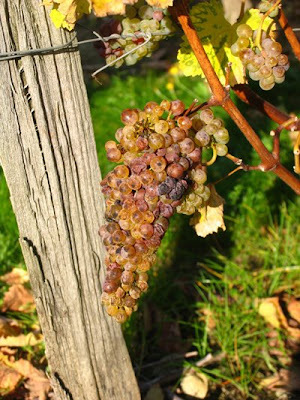 Noël: ‘Tokaji has had a good harvest – good grape quality and maturity. The whole range will be made: sec, demi-sec and aszu. Furthermore the volume is normal. Next year seven hectares will be converting to biodynamics. We’ll see how it goes before deciding to convert the rest of the estate. It is certainly the first estate in Tokaji to use biodynamics and may well be the first in Hungary.” How quickly the rest of Kiralyudvar will be converted to biodynamics is likley to depend in part on how the team there adapt to a new way of working. 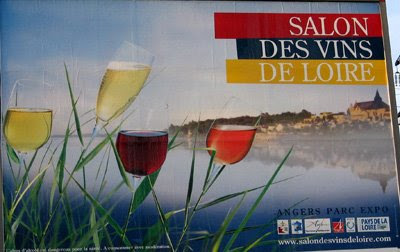 Today a reasonably reliable source in the Loire has told me that some Sancerre producers are seeking to raise their prices. Apparently it is some smaller, less well-known producers who think that this is a good moment to up the price – perhaps to make up for a short vintage? If this is correct, then they are likely to be in for a nasty shock. 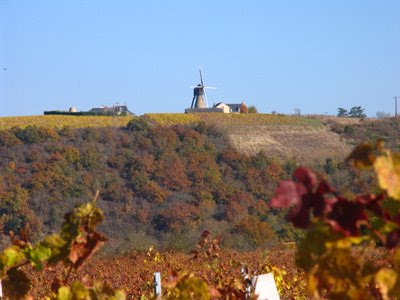 The larger Sancerre producers with an international perspective will be only too aware that with the world in economic crisis the last thing any professional buyer, whether for the home or export markets, will be an increase in price. It doesn’t have to be Sancerre there are any number of good Sauvignon Blancs from elsewhere in the Loire, France and les pays étrangers. With the deadline only some five weeks away, Jim's Loire has heard how some other Loire VDQSs have opted between seeking AC status or VDP – now to be called IGP. 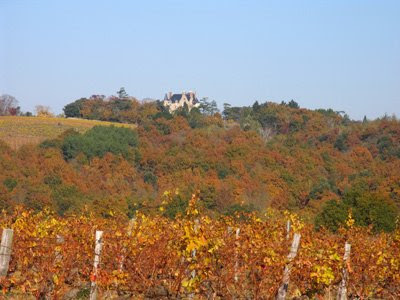 The Fiefs Vendéens, Coteaux d'Ancenis and Châteaumeillant will all be seeking promotion to appellation status. My guess is that Saint-Pourçain, which has previously applied for full appellation status, will apply again. And why shouldn't all of the above be successful if Orléans-Cléry is considered worth of being AC! 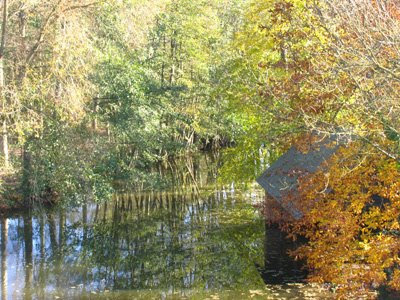 More photos from early November 2007. Starting near Bonnezeaux and heading eastwards. Today at The Xara Palace in Mdina, Malta I tasted my first Maltese Chenin Blanc with Georges Meekers, who is head of sales at Emmanuel Delicata and who wrote the Wines of Malta – the essential guide (published in 2007). He is also the school director of Wine Campus an on-line wine school. 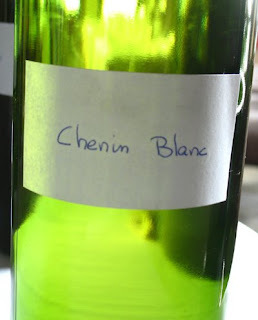 The Chenin was a 2008 tank sample and the first real vintage that has been produced by growers who supply Delicata. They did make a little last year but it wasn't good enough to bottle as a separate varietal. 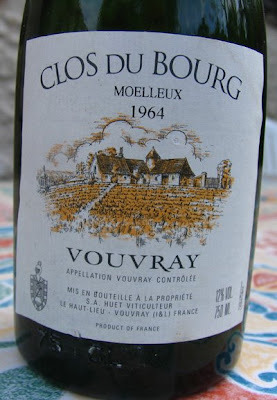 Characteristically Chenin Blanc it has pear, quince, apple and some citric notes. More South African in style than Loire, it lacks a bit of concentration and texture but should make an easy drinking, attractive aperitif when it is bottled around January 2009, especially if it is around the €4 mark when it hits the Maltese shelves. The Chenin Blanc was part of a selection of Delicata's latest releases and tank samples that George and I tasted. Fascinating though it was to taste a Maltese Chenin, the most interesting wine we tasted was a 2008 tank sample of Ġellewża, a red indigenous variety. 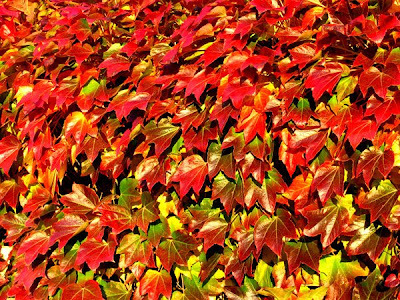 From vines of indeterminate age – probably 35-50 years – bush vines grown in small parcels and probably largely organic by default. Gellewza apparently has a reputation as difficult to ripen. Probably in part due to excessive yields but also because producers traditionally like to get their harvest finished by the 8th September when there is a festival that traditionally marks a change in the local weather. After the 8th the dry summer spell often breaks. As Ġellewża is an indigenous variety it is hardly surprising that it wouldn't be ready in early September. The best of the local varieties invariable ripen towards the end of September or early October irrespective of the climate because, of course, the indigenous grapes have adapted to the conditions to give the maximum hang time and a chance to develop maximum flavour. Ġellewża should have a dot above both the G and the z but my computer can't manage this – or I can't (now in place thanks to GM-23.11.08) . 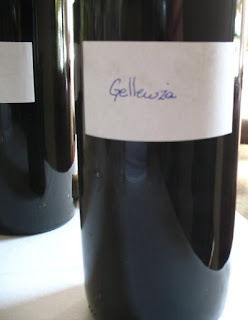 Anyway the 2008 has attractive sweet damson and plum fruit and is very easy to drink. It's a fun wine –just like Beaujolais should be. Unfortunately it is not sure that Delicata will release their Ġellewża as a single variety and it may disappear into a blend, which would be a shame. Today fortunately countries like Italy and Portugal really prize their indigenous varieties. The tidal wave of 'international' varieties is abating with the realisation that a Chardonnay that ripens in late July/early August is of minimal interest. With Ġellewża, Delicata have a story to tell and a story of a variety that I assume is unique to Malta. Served slightly chilled it would be a wonderfully uncomplicated red to enjoy in spring and summer. The VDQS Gros Plant Syndicat has opted to apply for IGP (Indication Géographique de Provenance) status. 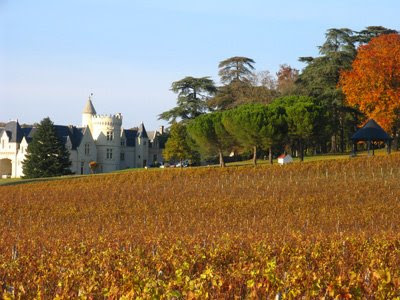 By the end of this year all those still remaining in the VDQS (Vin Délimité de Qualité Supérieure) category will have to opt for either AOP (Appellation d'Origine Protégée) or IGP. From 2009 to the end of 2011 only those that have applied either for AC or VDP status will be able to continue to sell their wines as VDQS. The Loire has many of the now limited number of VDQS remaining, so it is make your mind up time for Châteaumeillant, Coteaux d’Ancenis, Côtes d’Auvergne, Fiefs Vendéens, Haut-Poitou, Saint-Pourçain and Thouarsais. 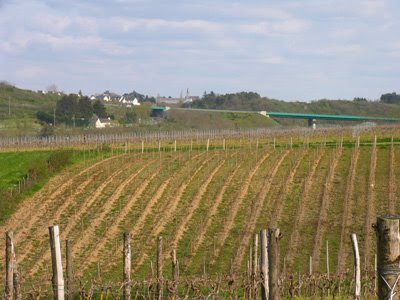 The Gros Plant Syndicat decided that Gros Plant would be better off as a IGP than trying to become AOP (similar to the existing AOC but a European-wide designation) because this will allow them to blend Gros Plant with other varieties such as Colombard, Montils and Pinot Gris (Malvoisie in the Pays Nantais). Going for AOP status would have meant reducing yields and some of the existing Gros Plant vineyards would have been left outside the new zone. The Syndicat's decision is not a surprise. The production of Gros Plant declined considerably and it was very likley that it would have struggled to get AOP status. It will, however, be a shame if all Gros Plant ends up being blended with other varieties as good examples remain a wonderful match with oysters. 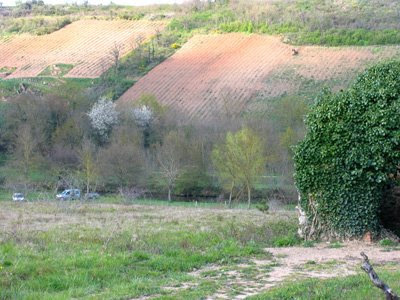 In early June 2008 as part of the European Union reform of the wine industry the French government adopted AOP and IGP. AOP is almost identical to the AOC (Appellation d’Origine Controllée) while IGP is a more flexible version of VDP (Vins de Pays). Under IGP producers can use whatever varieties they wish and it is possible to use oak chips and add tannins and acidity. Le syndicat du VDQS Gros Plant du Pays Nantais s’est prononcé pour un passage en IGP (Indication Géographique de Provenance) dans le cadre de la future segmentation de l’OCM qui entrera en application en août 2009. La disparition annoncée des VDQS avait déjà conduit le syndicat à se prononcer il y a quelques années sur son passage en AOC. Aujourd’hui le syndicat revient sur cette position, estimant que le cadre de l’IGP proposé par l’Europe correspond mieux aux ambitions de l’appellation Gros Plant. «Cette catégorie de vin offre une souplesse qui cadre bien avec ce qu’est actuellement le Gros Plant. 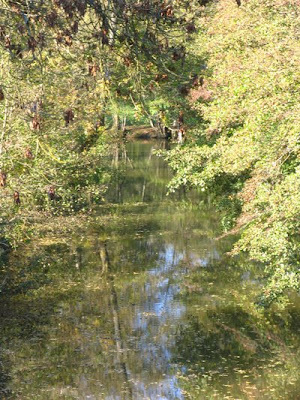 Le choix de l’AOP nous aurait conduit à des baisses de rendement et des restrictions de l’aire d’appellation qui ne nous semblent pas opportunes. Par ailleurs, nous envisageons d’élargir notre encépagement en autorisant les assemblages avec le Colombard, le Montils et le Pinot gris. Ce projet a plus de chance d’aboutir dans le cadre de l’IGP que de l’AOP », argumente Jean-Michel Morille, vice-président du syndicat. Labels: AOP, Châteaumeillant, Coteaux d’Ancenis, Côtes d’Auvergne, Fiefs Vendéens, Gros Plant, Haut-Poitou, IGP, Saint-Pourçain, Thouarsais. 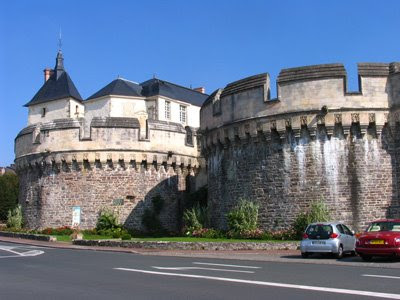 The market town of Brissac-Quincé is both the centre of the Coteaux de l' Aubance and can add its name to Anjou Villages as this is considered to be the best area for Anjou Villages. 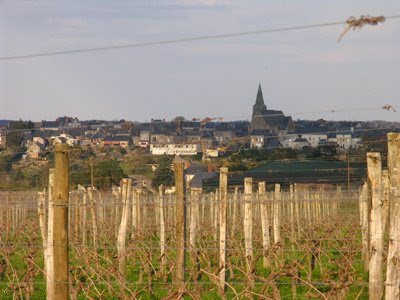 This is not to say that individual producers of Anjou-Villages from elswhere in Anjou do not make equally good wines – Vincent Ogereau and Claude Papin to mention but two. If there is anyone who has paid Paul Havers/The Wine Barrel for wine which they haven't received within a reasonable time they can contact me either through this site or through investdrinks. 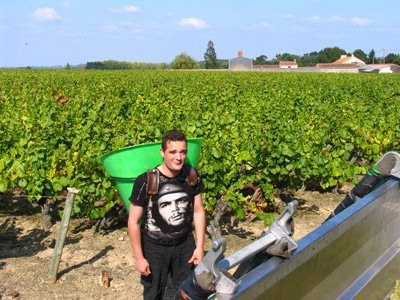 On Tuesday 18th Pierre Aguilas, a producer in Chaudefonds-sur-Layon, was elected to the presidency of CNAOC (Confédération nationale des producteurs de vins et eaux-de-vie de vin à appellations d’origine contrôlées). 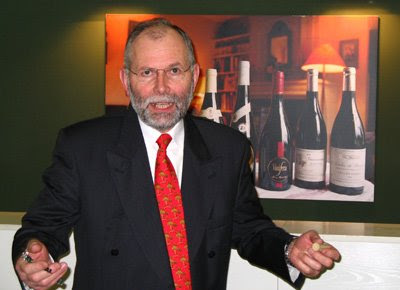 Pierre has run Domaine Aguilas Gaudard since 1969 making the customary range of Anjou wines. He was president of the Fédération Viticole of Anjou from 1992 to 2004. He has been president of the Confédération des Vignerons du Val de Loire since 1997 and has been secretary-general of CNAOC since 1995. 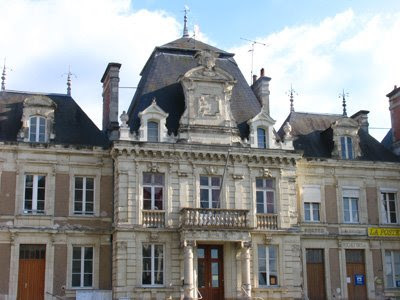 He became president of the Comité Régional of the l’INAO for the Val de Loire in 2000 and is also a member of the national committee of the INAO. 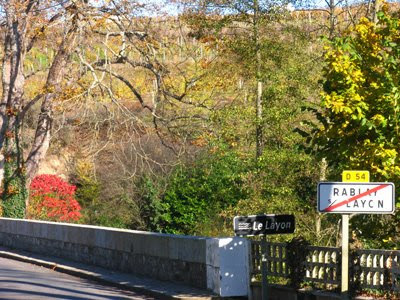 Showing how steep and rugged this part – between Beaulieu and the Quarts de Chaume – of the Layon Valley is. 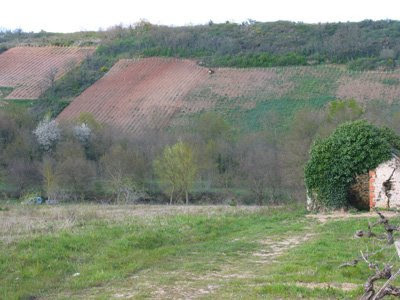 I think the recently planted and very steep vineyard in photos 2 and 3 may well be Jo and Isabelle Pithon’s Les Treilles. I would be very grateful if someone could confirm this or not as the case may be (see next para). Thanks to the assistance of Micaela Frow this does appear to be part of Les Treilles, the steep south facing coteau that Jo and Isabelle Pithon have brought back to life. 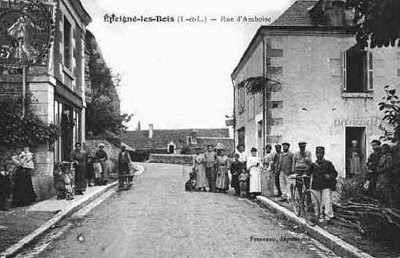 Les Treilles was a thriving hillside of vines until arolund the end of the Second World War when it was abandoned in favour of less steep vineyards that could be worked by machine. 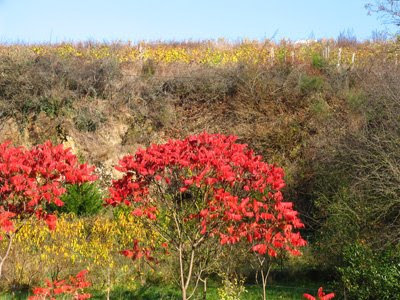 The hillside, whose slopes vary from 30 %-70%, became over-grown and virtually impenetrable. Is this Les Treilles? Can anyone confirm please? 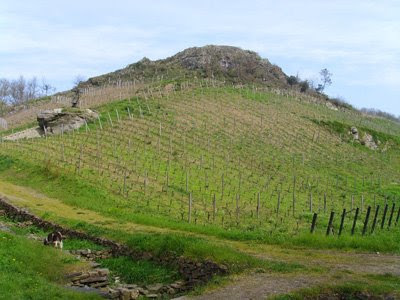 In 1996 the Pithons began a project to reclaim the hillside and replant vines there. This involved buying 70 parcels from 25 owners. 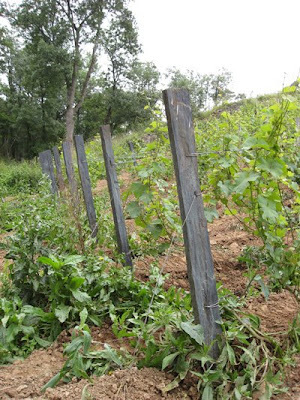 Three hectares have been planted with Chenin and are now in production. There are a further two hectares that will be replanted in the future. 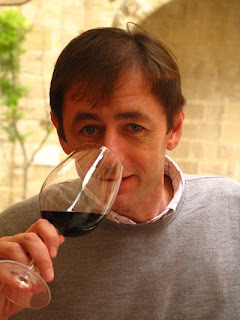 Following his split with Domaine Jo Pithon in January 2008, Jo has kept control of Les Treilles. 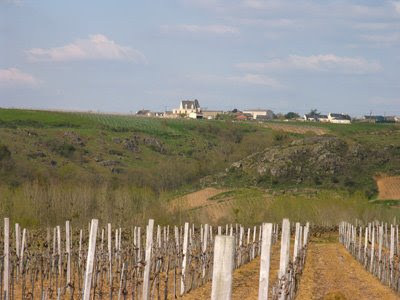 Further information is on the Domaine Jo Pithon site including a detailed pdf on Les Treilles. At the HG Wines tasting on Monday 17th Jo’s brother, Olivier of Domaine Olivier Pithon in the Roussillon, brought me up to date with what Jo is now doing. 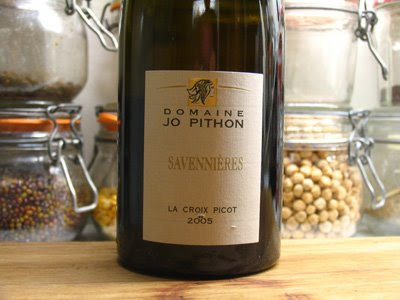 In January Jo Pithon walked out of Domaine Jo Pithon, which had been bought by Philip Fournier, PDG d’Afone in Angers, in 2005. 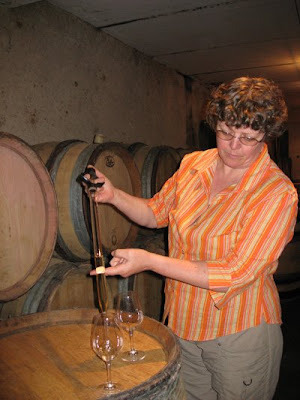 Jo has kept Les Treilles, the long abandoned parcel of five hectares overlooking the Layon which Jo and Isabelle Pithon had started to replant in 2000. 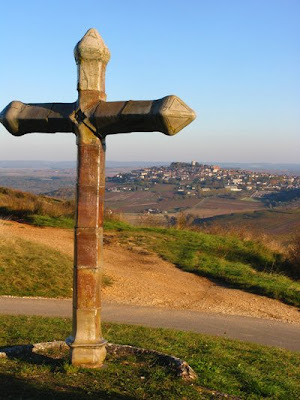 For more details of Les Treilles go to next posting: Some views from the Coteaux du Layon. Olivier told me that Jo had kept another parcel. 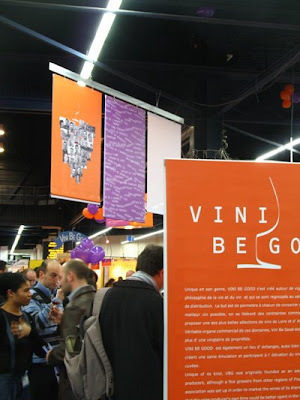 He is also has a new négociant activity and will have a stand at the Salon des Vins de Loire 2009 (3rd-5th February 2009). France: The future of wine on the internet?